A look back at 2012: why people came to this blog? At the end, we’re all stats junkies! 2012 will be over in a couple of days! At this moment, looking back at 2012, and preparing the ‘retrospective’: popular posts, interaction with other bloggers, popular searches/forums… good discussions… Good therapy, some may say – and I’m glad to agree 😮 – when it came to blogging, got a lot done this year, sharing our experiences, challenges regarding parenting, multilingual living, cultural adjustments… work… expatriate and family daily life…. So, why visitors, readers, commenters, came to this blog? Most of them are expatriates, like our own ‘nomad family’, some belong to the Foreign Service community, and are well familiar with the challenges faced by the 5 of us. Others, are parents, travelers, adventurers, looking for images, photos, tips about travel options, or simply… curious eyes in search of a good reading, or a funny/intriguing/amazing image from our travels and/or not-so-fantastic daily life! Now, I find myself with some time after the Christmas holidays, and with a chance to pull together the ‘highs and lows’ of 2012, displaying my gratitude to the readers, commenter, frequent visitors, who always enrich this blogging journey! A big thank you to all! For a ‘visual summary‘ of 2012, please hop over to this other post, especially crafted for WordPress‘s weekly photo challenge, the last one of 2012: A year through images! 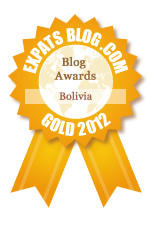 Highlights of 2011: Blogging one day at a time… Thank you for reading! 2012 displayed an average of 246 blog comments/month, averaging 186 views a day. …so, the blog morphed into more than just a quasi-travel and photo journal. I liked the idea of organizing not only our travel notes, but also providing resources for other parents, and encouraging an exchange of ideas through comments, questions and suggestions from viewers. The name for the blog came from the term itself: “3rd Culture Children” (TCKs, more information here) are children whose parents come from distinct cultures, and grow up under a hybrid environment, experiencing diverse cultural growth. Travels in Brazil, posts related to outdoors activities, cultural events, such as attending the world’s largest open air theater for the Re-enacting of the Passion of Christ, as well as the ones showing scientific investigations and natural discoveries, seemed to be quite popular! Builiding a Hanging Garden using Recycled PET Bottles – teaching the importance of respecting the environment. I’m grateful to Ruth Bailey, for the recent nomination – the 7 x 7 Link Award, where one’s supposed to highlight 7 recent important blogposts. Many thanks to Cyclingrandma, for offering the Good Apple award. Thank you, ClaudiaJohnson, for the nomination! For a working mom, juggling with the work-life balance, in charge of anything from grocery shopping to planning trips, I’m honored. I’m so pleased to share with other expatriates, parents, and traveling families, the beauty and excitement of traveling, exploring nature (I’m a biologist! ), languages (we’ve got Spanish, Portuguese and English in our household! ), social/cultural adjustments, and our not-so-professional advice as “parents-on-the-go“ – imagine hauling this family of 5 around, raising multi-language TCKs, and keeping the passion for photography and story-telling?! No surprise that you have such a following. Keep up the good work! Thanks for being so kind, Colonialist… 😮 Happy 2013! Glad my post was inspiring! 😮 Wishes for a great year of 2013! Kat! I loved your introduction! 😮 Feels like we’re all at some sort of ‘help group’… 😮 Funny, funny! Aren’t we all stats junkies?! Take care and good luck getting the post out! Let me know! You have a fab blog that lots of others love as I do! Oh, Gilly! Thank you, thank you, for your usual kindness and interest! 😮 Have a great New Year! Thank you so much! it’s fun to get out there, and simply assume your ‘secret’ ID as a stats junkie, right? Don’t you love visitors? commenters? 😮 It does enrich the whole blogging experience… by a lot! 😮 Take care and have a great beginning of 2013! Previous Previous post: Weekly Photo Challenge: My 2012 in 12 Pictures.